The fifth Bahrain International Airshow took place in Sakhir Air Base from November 14 to 16, with 11 out of the world’s top 15 aerospace companies exhibiting and more than 100 aircraft flying and on static display. 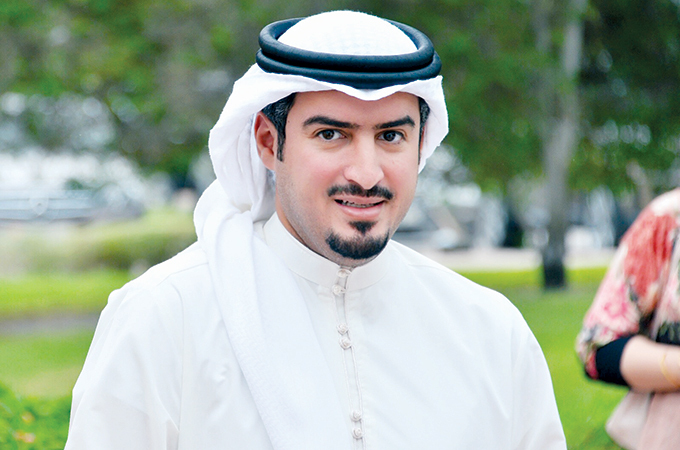 The recently concluded biennial airshow is but one of the reasons the Gulf country commands attention, the CEO of the Bahrain Tourism and Exhibitions Authority (BTEA), Sheikh Khaled bin Hamoud Al Khalifa, tells TTN on the side lines of World Travel Market in London. The BTEA has launched representative offices in seven countries; Kingdom of Saudi Arabia, India, China, France, Germany, Russia and the United Kingdom. “These offices have served to assist the authority in establishing business relations with travel and tourism organisations, tour operators, travel agents and airlines across the world in a bid to increase the numbers of international tourists coming into Bahrain,” says Sheikh Khaled. The GCC countries remain the main feeder market for Bahrain, however there has been a significant rise of leisure arrivals from other markets that are targeted by BTEA. “We have witnessed a growth from India and Germany over the past two years and an increase of travellers from Saudi Arabia. The main factors that influence arrivals to the Kingdom is the diversity of the local tourism offerings, the high quality of tourism services, the accessibility of Bahrain as a tourist destination, the growing agenda of international tourism festivals and events being hosted in the Kingdom, and the hospitality of the Bahraini people. On the hospitality front, The Beach at Four Seasons Bahrain Bay is now open to all, with a full spectrum of world-class amenities and seaside activities, making it the perfect retreat for all the family. 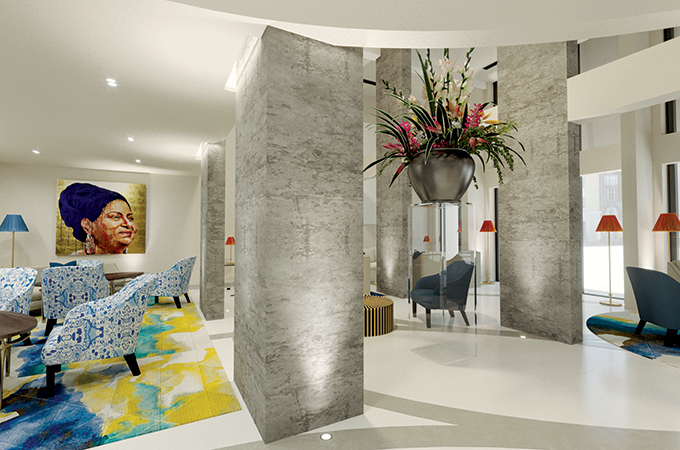 Merchant House Hotel is opening this month for the discerning modern-day guest and it embodies Bahrain’s historical pearling past reimagined by luxury hotelier Gordon Campbell Gray. Under the umbrella of the long-term tourism strategy ‘Ours.Yours’ BTEA is actively attracting exhibitions and conferences to the Kingdom, improving the quality of services in the tourism and hospitality sectors, and strengthening the position of the Kingdom as an ideal tourist destination for families and international tourist. The BTEA hosted the United Nations World Tourism Organization’s 109th Executive Council Session in Bahrain from October 30 to November 1 this year. Also on November 1, a Tourism Tech Forum was organised where top 10 tourism related startups from around the world were hosted. BTEA organised the third edition of the Sea Festival between October 25 and November 3, followed by the Light Festival, which was held late last month. Jewellery Arabia, the region’s top jewellery event, was held in the country last month. Work is also well underway for a new exhibition and conference centre that will be located in Sakhir. The project is being built on a land area of about 308,000 sq m, with a built-up area of 149,000 sq m. The exhibition centre will include 10 exhibition halls with a total area of 95,000 sq m and will also include all the necessary services, in addition to areas dedicated for retail and events. The conference centre will include a 4,500-sq-m conference hall, which can be divided into three separate halls equipped with state-of-the-art display and technical services. It will also include 27 small and medium conference and meeting rooms with a total area of about 1,700 sq m. The launch of the new exhibition and conference centre will positively impact the different sectors in the Kingdoms and will preserve Bahrain’s competitive location. On the active tourism front, The Ironman 70.3 Middle East Championship returns to Bahrain for the fourth time this December, with a new and improved course memorable for elite and amateur athletes alike. Lastly and most importantly, The Bahrain Formula One Grand Prix 2019 will take place from March 28 to 31 in 2019. Located at Sakhir, 30km south-west of Manama, the beautifully designed Bahrain International Circuit will host this event, Sheikh Khalid tells . “Its opening placed the Middle East on the map for hosting future motorsports events. The circuit was purpose built by the renowned consultancy Herman Tilke and is arguably one of the most advance circuits in the world. LAST month from November 14 to 16, the fifth edition of the Bahrain International Airshow was held at the Sakhir Air Base. A biennial airshow that seeks to give aerospace businesses a personalised experience, it was established in 2010, and held under the patronage of His Majesty King Hamed bin Isa Al Khalifa, King of the Kingdom of Bahrain. Two important announcements were made on the first day of the show: a new private terminal will be build where Bahrain's Civil Aviation Affairs (CAA) building stands today and Gulf Air and Etihad Airways signed an MoU for deeper cooperation. Bahrain's CAA building, which once served as the kingdom’s main airport, will be transformed into a private aviation terminal for VIPs and business leaders, Bahrain Airport Company (BAC) said. The new, state-of-the-art private aviation facility is expected to be completed by 2020 and will offer various services to meet the needs of private jet owners and users travelling through Bahrain International Airport (BIA), said a Bahrain News Agency report. Meanwhile, Gulf Air, the national carrier of Bahrain, and UAE's Etihad Airways are set to explore deeper cooperation following the signing of an MoU. The wide-ranging MoU covers scope to introduce joint codeshare operations between Abu Dhabi and Manama, as well as on the global flight networks beyond the two carriers’ GCC hubs.